George Soros is wrong on how to deal with Russian President Vladimir Putin. Mr. Soros, chairman of Soros Fund Management and of the Open Society Foundations, wrote a column published Feb. 10 by Project Syndicate headlined “Putin Is No Ally Against ISIS’’. In it, he urged Western leaders to more firmly respond to the Russian leader’s actions against Ukraine and his support of Syrian President Bashar Assad. But Mr. Soros exaggerates Mr. Putin’s strength and intentions. Yes, the Russian president seeks to strengthen the Russian position in Syria by supporting his ally Assad. However, Russia is actually rather weak. Russian power – real and perceived — depends far too much on its large but rather antiquated military and the sale of oil. But the price of oil is very low, and may fall further, in part because of stunning American success in using its technology and engineering skills to produce much more oil and gas than anyone thought possible a decade ago. In addition, the U.S., with its big technological lead, and huge wealth, will continue to be much stronger militarily than Russia. And consider that ISIS is a foe of the Assad regime and that radical Islam seriously threatens Russia itself, which has a substantial Muslim community, some of it radicalized. Thus it makes much more sense to cooperate more with Russia to fight ISIS than to act as if Russia was the main foe. The biggest challenge to world peace is China, whose totalitarian regime’s extreme expansionistic nationalism, armed with the world’s second-largest economy, 1.4 billion people (compared to only about 140 million in Russia!) and rapidly improving military, imperils the peace, liberties and other rights of nations in the Asia/Pacific region and beyond. And note that Russia’s Far East region may well face Chinese expansion in coming years. The U.S., E.U. and Russia need to work together to face the challenge of Chinese aggression as well as to intensify the battle against ISIS. 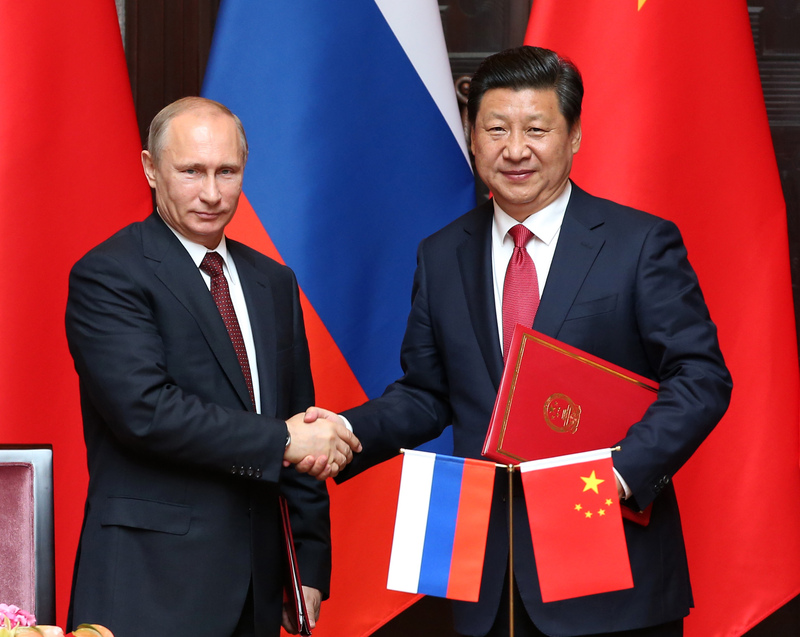 The West and Russia have stronger interests in common than they have with China.